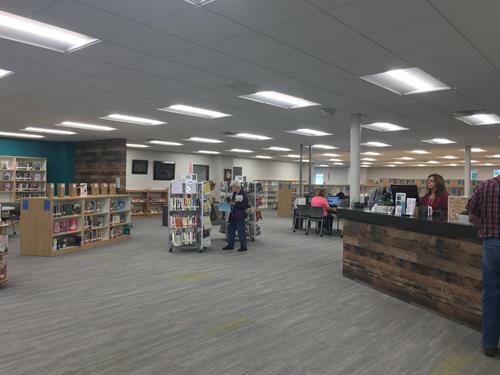 Christian County Library is your public library serving all of Christian County from three branches in Ozark, Nixa, and Clever. Library cards are free for Christian County residents. Check out books, audiobooks, DVDs, e-books, and more with your library card. Materials can be picked up and returned at multiple locations throughout the county. Computer classes, story times, events and classes for a variety of ages are offered every week. The library also offers a number of resources for business development, including Reference USA. Our helpful staff can find the information you need. Just ask! Books, Movies, E-Books, and More! Across from Finley River Park in Ozark. Take Hwy.14 east to Third Street. Turn left on Third Street, then right on Riverside Drive. In two blocks, turn right on Parkview, then left on Fourth Avenue.